Ellie’s original, dramatic, large-scale floral print design, inspired by the still life paintings of the Dutch Golden Age, is applied here to a lightweight, semi-transparent 100% silk fabric with a matte finish, for an effect that’s nothing short of poetic. This floral scarf drapes beautifully, and has a soft, breathable texture which is lovely against the skin. This 100% silk voile scarf can be dry cleaned and ironed at a low temperature. The voile version of this scarf is more transparent than the charmeuse. The voile absorbs light while the shiny surface of the charmeuse reflects it. In its incarnation as a wallpaper, ‘Dark Floral’ has been featured in magazines like Vogue, Elle, MarieClaire, Residence, LivingEtc, Town&Country, Domino, Better Homes and Gardens and blogs like Architectural Digest, Cupcakes & Cashmere, decor8, The Design Files, and Real Genevieve. These are all options for color coordination! We like to ‘frame’ this printed scarf with gold jewelry and toughen it up in conjunction with leather and/or textured knits. How will you wear it? For further insight into the (thought) process behind the original floral print ‘Dark Floral’, please see Ellie’s full Design Description. 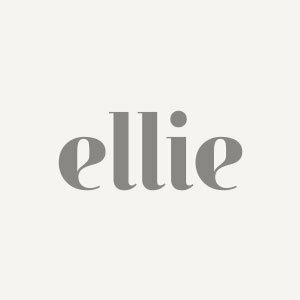 Each Ellie Cashman Design© scarf is finished with a textile logo label and comes packaged in a beautiful branded black box that you can use to store your scarf whenever you're not wearing it. Each scarf measures roughly 125 cm (49”) square. Measurements are approximate and can vary up to 5 cm (2.5”) in either dimension. For more information, please see the Product Specifications at right.